Hallmark for the meme generation. 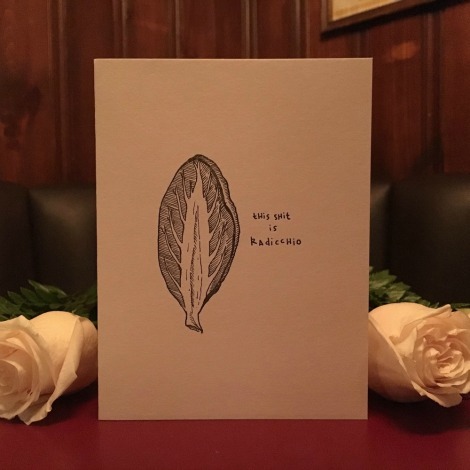 It is now officially last minute if you’re looking for holiday gifts, and while you try and justify buying trinkets for your parents in the drug store check-out line, you could be buying one of Merrily Grashin’s handmade greeting cards emblazoned with some top shelf culinary and cocktail puns. Grashin’s company, Greet ‘N’ Potatoes (the puns don’t stop), started after her pile of pun doodles got out of hand and needed some organization. The result are greeting cards hand-printed at LQQK studios in Bushwick, Brooklyn. 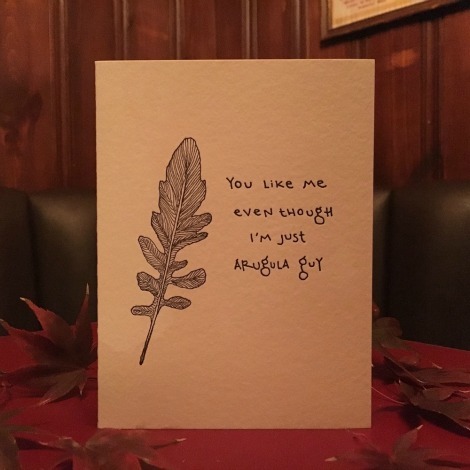 The cards are $5 a piece, making them a cheap last-minute gift addition that might make up for the fact that you’re still buying your family CDs in 2015. 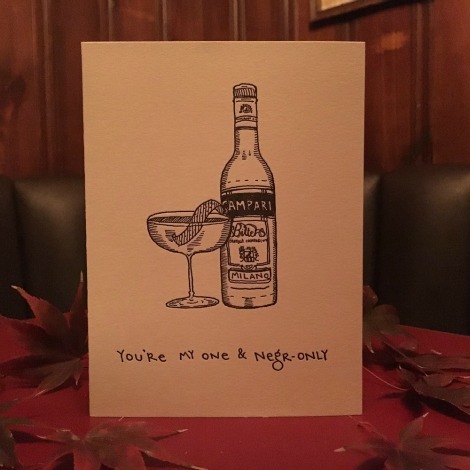 If you’re in NYC, Greet ‘N’ Potatoes cards are available at a number of stores, including The Brooklyn Kitchen, Henry’s Wine & Spirits, and Marlow &Sons. If you can’t make it to Brooklyn though, you can always order online. 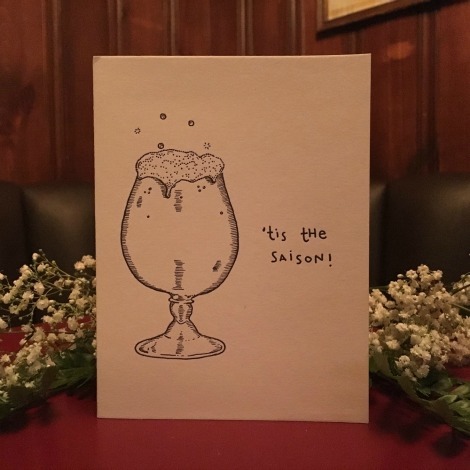 No guarantee it’ll make it to you in time for Christmas; all the more reason to get an apology card, though.